Denver may no longer be a cowtown, but our agriculture industry still has a tremendous impact on our economy. Our exports like meat products, animal hides and dairy help drive our economy, and they put Coloradans to work. 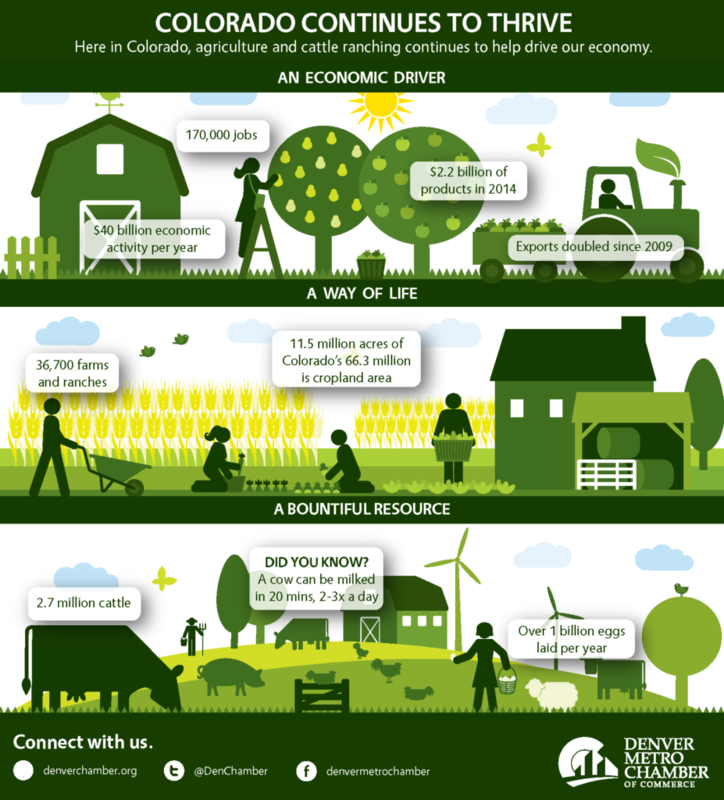 Agriculture supports 173,000 jobs in Colorado and generates more than $40 billion of economic activity. And, our exports connect us internationally. The top five exports are Mexico, Canada, Japan, South Korea and China. Through August of 2018, South Korea became the third-largest market for Colorado – with 17 percent of the market share. Agriculture is important to our state and to us. That’s why for 25 years the Denver Metro Chamber has kicked off the National Western Stock Show at our Boots ‘n Business lunch where we get to celebrate the ag. industry and the economic impact of the National Western Stock Show. Check out this year’s recap.